Little-known fact: A grocery-shopping list, one containing fish, soup, bread, and wine, is among the few existing papers of the original Renaissance man, Michelangelo. We're talking 15th or 16th century. Clearly, shopping lists are quite old. The very existence of shopping lists suggests many purchase decisions are made well before shoppers even enter stores. If your product’s on the list…it’s probably getting bought. If your product isn’t on the list…well, odds just got that much slimmer. 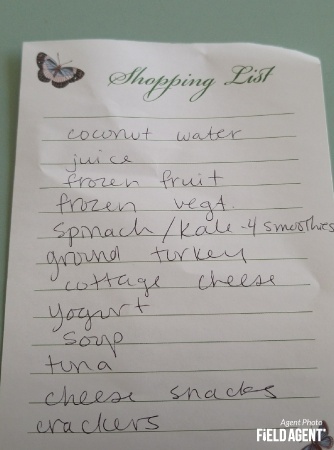 Just how common are shopping lists—really? 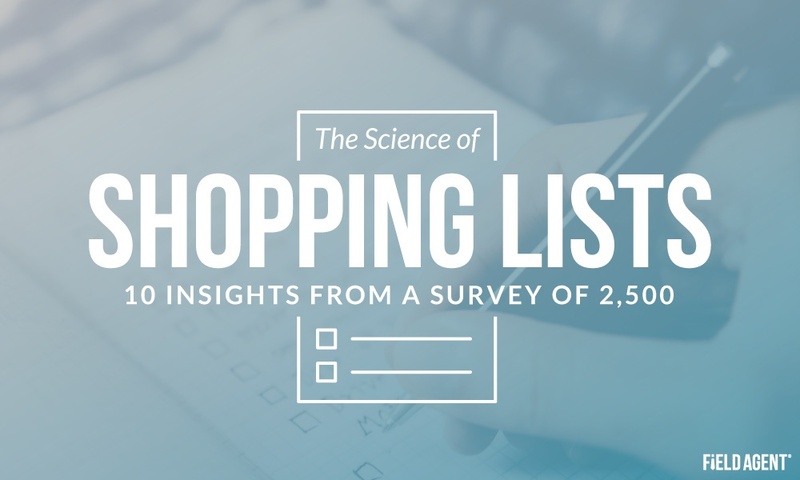 How closely do shoppers actually follow shopping lists? Do they influence spending amounts? Last week, retail-auditing and insights firm Field Agent surveyed 2,500 shoppers* about their use of grocery-shopping lists**. 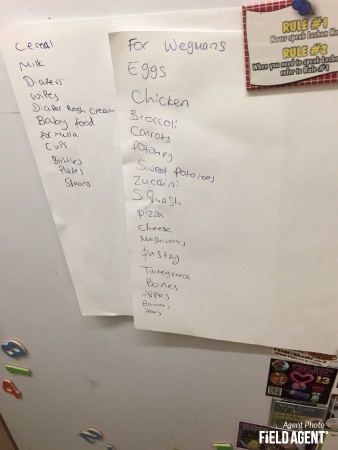 As the images suggest, we also gathered photos and screenshots of actual shopping lists in homes and on phones across the country. *All respondents were U.S. adults and smartphone owners at least 18 years of age. The survey was administered through the Field Agent mobile app. 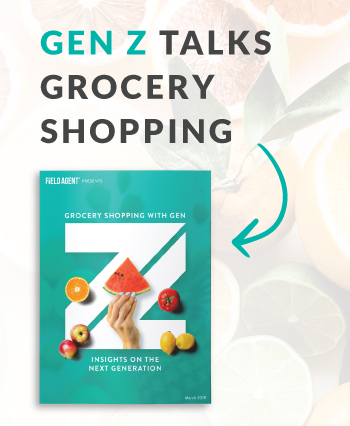 **The survey focused exclusively on grocery-shopping lists, which shoppers use to guide their purchases of groceries and household consumables. "Household consumables" include any non-grocery, non-durable goods like cleaning supplies, detergent, toilet paper/paper towels, pet supplies, baby supplies, personal care items, etc. Our ultimate aim was to understand the who, what, and how of shopping lists among contemporary shoppers. Below we present 10 insights from this survey. After all, one list deserves another. 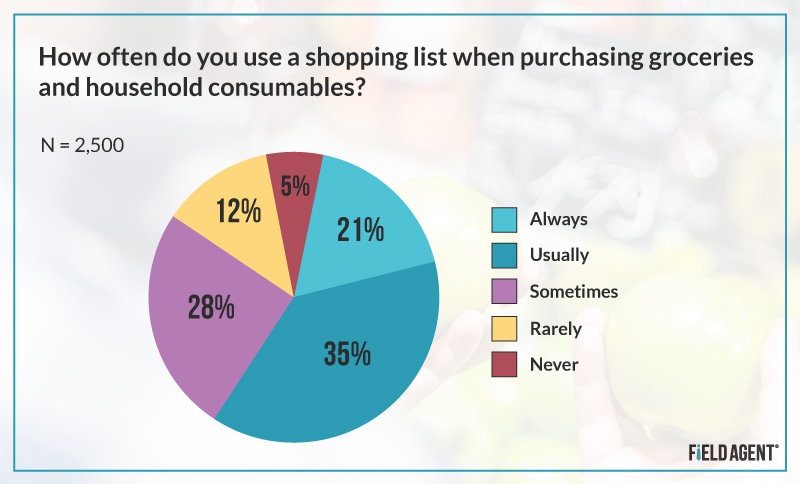 In our survey of 2,500 shoppers, 21% indicated they “always” rely on a shopping list, and 35% “usually,” when purchasing groceries and/or household consumables. Only 5% “never” use shopping lists, intrepid souls, and 12% “rarely” use them. Clearly, shopping lists are pervasive. 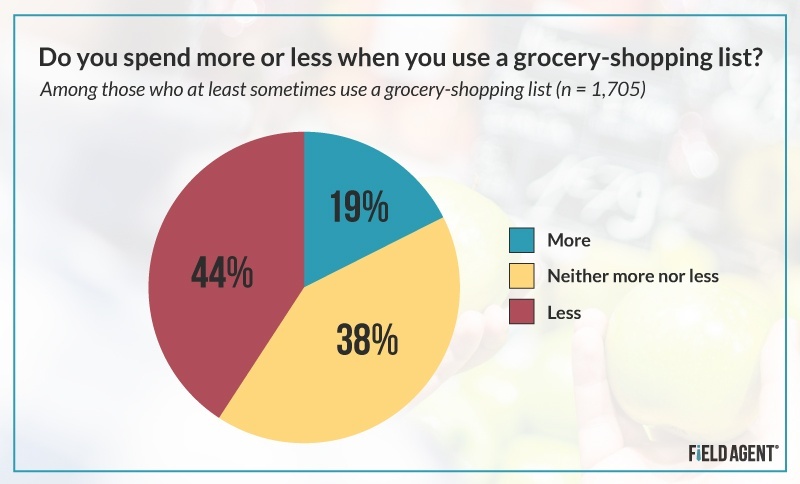 And, no, shopping-list use is not more common among older shoppers than those younger whippersnappers. In our survey, 55% of shoppers ages 18-35 (n = 765) said they use grocery-shopping lists, compared to 56% of 35-51 year olds (n = 958) and 54% of 52-70 year olds (n = 318). Of respondents who shop primarily at Walmart (n = 939), 56% always or usually use a shopping list when purchasing groceries/household consumables, compared to 48% at Kroger (n = 254), 52% at Target (n = 140), and, get this, 67% at Aldi (n = 99). The Aldi sub-sample was admittedly small, but an interesting question for future research is whether customers who shop deep-discounters like Aldi are more likely to use shopping lists—if primarily or partly to stay on budget. 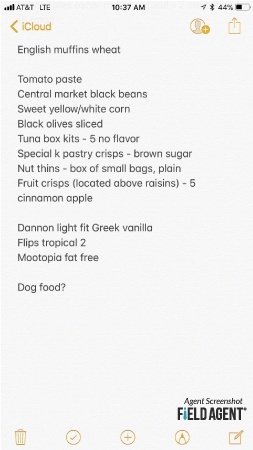 Why use a shopping list? Notably, however, one-third indicated they use a shopping list to “stay on budget” (33%) and “make note of sales/coupons" (31%). *From this point forward, an asterisk* denotes a sub-sample of n = 1,705, or shoppers who at least sometimes use shopping lists when purchasing groceries and household consumables. While designations like milk, bread, and eggs are no doubt common on grocery-shopping lists, how common are specific brand names—like, you know, Horizon organic milk or Sunbeam sandwich bread? See Also: Are Millennials Really Less Loyal to Brands? In Field Agent’s survey, more than three-quarters of shoppers*, 76%, said they include general product names (e.g., bread, milk) on their lists, while 34% said they actually include specific brand names. Sizes/quantity (43%) and spending amounts (21%) are also comparatively common inclusions. 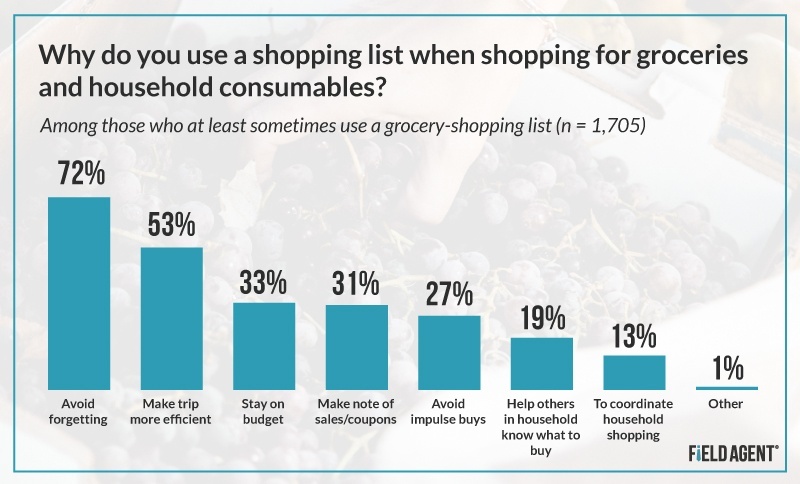 Significantly, only 8% of respondents* said they “only buy what’s on the list” when using a list to purchase groceries/household consumables. Yet fully three-quarters, 75%, said they buy mostly what’s on the list, while allowing for one or a few additional purchases. This attests to the power of the shopping list…and its ability to dictate many purchases well before shoppers step into stores. Here’s the million, er, billion-dollar question: Do shopping lists influence spending amounts? Forty-four percent of shoppers* in Field Agent’s survey believe they spend less when using a shopping list to purchase groceries and household consumables. Every respondent in Field Agent’s mobile survey was a smartphone owner—every. single. one. 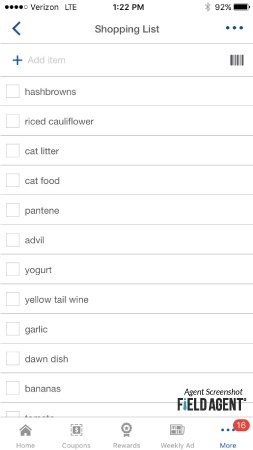 So one might expect heavy use of smartphones to maintain shopping lists. Notably, only 5% said they currently use a voice-activated personal assistant, through, for instance, Amazon Echo or Google Home, to maintain a shopping list. Another 22% said they send themselves texts and other messages, while 13% take their orders from someone else—and simply buy what they’re told. Can brands actually influence shopping lists? Can they persuade shoppers to include their brands on grocery-shopping lists? Field Agent offered all respondents a chance to respond to the question, "What, if anything, can a company do to get its product/brand on your shopping list?" As one agent said, "I typically stick with what I know. However, if coupons were available I would consider using a different product." Or as another put more bluntly, "Coupons or low prices make the list." And it might just make sense, too. Whereas shopper marketing enters the stage after shopping lists have been made, coupons, weekly ads, and the like are often on-stage as shoppers are making their lists.